Los Angeles is United States’ second largest city, and has nearly 4 million residents! It only makes sense—the city offers beautiful weather, a vibrant culture and plenty to see and do. 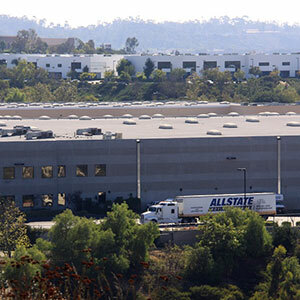 Over the years, Allstate Moving Systems has helped thousands of residents move to and from the Los Angeles area. Whether you are considering moving your home, or business, to the city—or you find yourself relocating from LA elsewhere, relax and let us do the heavy lifting. We have the experience, equipment, and knowledge to offer a seamless, stress-free move. As a 3rd generation moving company, Allstate Moving Systems is one of the best Los Angeles movers available. Our history dates back to the early 1930’s when our family purchased the company, then named Roosevelt Moving and Storage, which served the famous Hollywood Roosevelt Hotel. In the years since our company has grown and changed; however, what hasn’t changed is our commitment to service that Allstate offers each and every customer we serve. Today, our Los Angeles office is located in Los Angeles County at 7241 Lankershim Blvd., North Hollywood, CA 91605. There’s no such thing as a one-size-fits-all moving service. That’s why we offer a variety of services, so you get exactly what you need. We are always willing to go the extra mile to customize a move to fit you. Whether you’re a business or residential customer, we can provide excellent Los Angeles moving service to fit your needs. Whether you desire a simple move or white glove service or something in between, we deliver—every time, on time. We do more than just simple moves. Our team of experts can handle both residential and commercial moves, and we offer warehouse space in Los Angeles. Additionally, we are an agent for United Van Lines and are part of an international network of moving companies—meaning we can help you with your move no matter where you are looking to move to or from. Our service and expertise are top-notch, and we look forward to proving it. Our Los Angeles Movers have served the area for over 50 years, and we provide superior local, statewide and even long distance moves for both residential and commercial customers. Want to talk to the best Los Angeles Movers today? Contact us at Allstate Moving Systems. Get a free estimate online or call us at 1.800.897.MOVE. Ready to get outside and experience that beautiful LA weather? Griffith Park is the place to do just that! Griffith Park offers camping, hiking, horseback riding, swimming, biking and much more with acres and acres of preserved land. Additionally, the park is convenient to other attractions like the LA Zoo and Griffith Observatory.